Thank you for your Interest! We’ll get back to you within 48H with a quote. What is the existing surface? 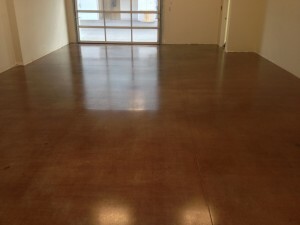 Fab-u-Floors™ was established in 2006 as a unique company; capable of refinishing any natural surface. Exclusively utilizing Werkmaster equipment and technology allows us to deliver superior results with zero airborne dust, which is very important for our residential and retail/commercial customers. The Fab-u-floors team of Justin and Matt has completed several projects in our home. We were very impressed by their professional manner and skills. A large scope of work was done on time and budget. We would definitely use this company for any future projects. I appreciated the professional manner in which Matt and Justin conducted themselves from start to finish on our project. The attention to detail was second to none and they were very easy to have on our jobsite. Justin and his Fab-U-Floors team have completed two concrete floor projects in our building. Both were completed on time and on budget in a very professional and skillful manner. The team are hardworking, extremely trustworthy and the finished products have drawn high praise. I don’t hesitate to highly recommend their floor finishing services! Couldn’t be more impressed with Fab-u-floors: staff, product, onsite crew, attention to detail and promptness…… I just pulled into our garage after work and the “Wow” feeling still hits me when I pull into our recently finished garage. Your floor makes such a difference!